Yes, you did read that title correctly – these flourless peanut butter and choc chip cookies really are a guilt free treat. 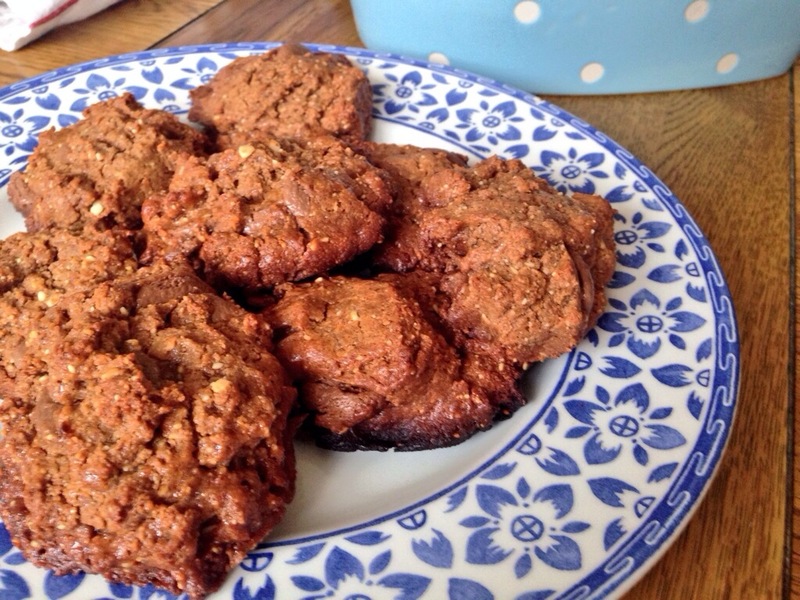 These cookies are soft, gooey and packed full of energy – not to mention so tasty they may well become your new go-to treat. 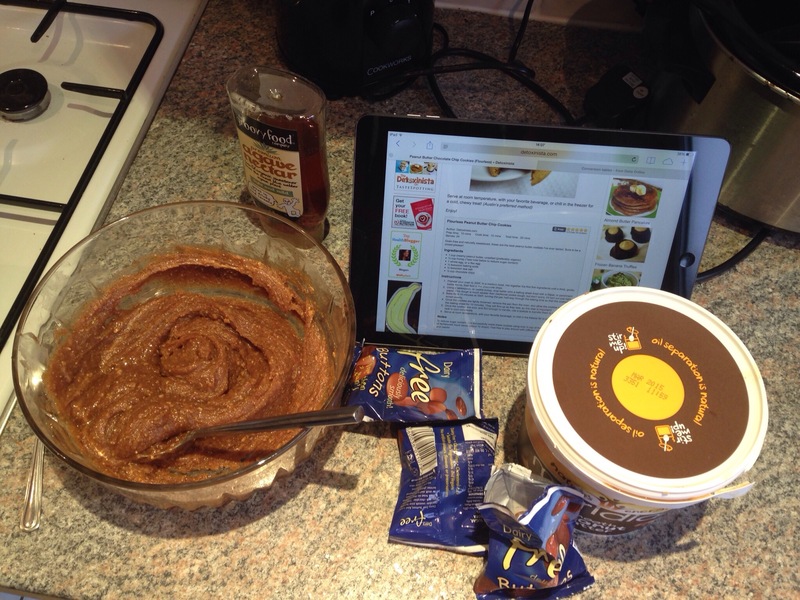 I am a massive peanut butter addict and I’ve wanted to try cooking some guilt free treats with smooth peanut butter for ages and this seemed like the perfect recipe. Not only that, but these cookies are gluten free as well. These really are so easy to make which is yet another reason to love them. -Mix the peanut butter, honey, baking powder and egg in a bowl. -Stir in the choc chips then put cookie sized dollops on to a baking tray lined with grease proof paper. Place in the oven at gas mark 4 for about 12 mins/until the cookies start to turn brown. The cookies may still look gooey but as soon as they start to brown take them out and leave them to cool. They will firm up but still retain that amazing soft gooey texture inside.